Kelly Clarkson is a singer who became famous thanks to the first season of the American Idol show. She has won the competition there, and in the past she has repeatedly impressed many fans with numerous hits such as "A Moment Like This", "Breakaway", "Because Of You" and many others. She has repeatedly proved that her singing talent is something special, and she has already sold out numerous concerts in the future. One of her biggest hits is also the song "Piece by Piece", which can also be heard in a video that was captured at her past concert. When she sang the song, her husband Brandon Blackstock joined her on stage while Kelly did not know for the surprise. When she turned around, she noticed her husband playing the guitar. She was visibly touched along the scenes, and the audience rewarded this move with a noisy applause. 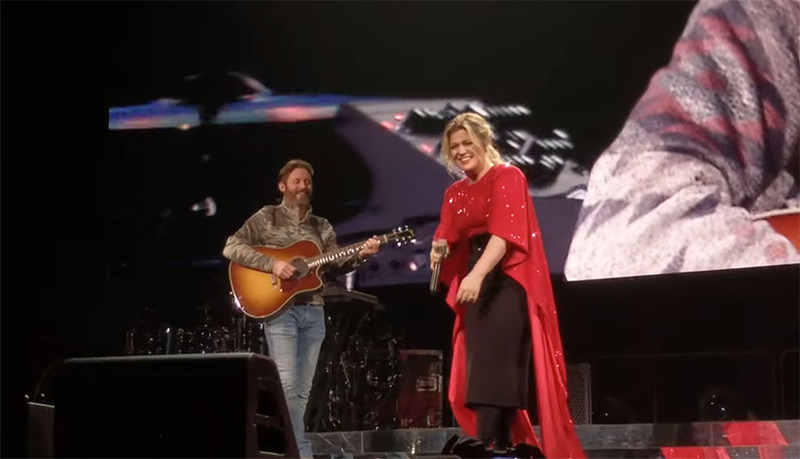 Look at the moment from the past concert of singer Kelly Clarkson when she was surprised by her husband Brandon Blackstock on stage!